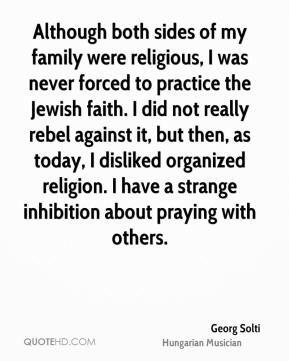 Although both sides of my family were religious, I was never forced to practice the Jewish faith. 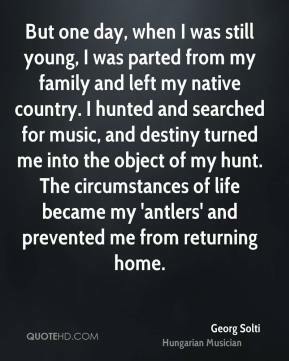 I did not really rebel against it, but then, as today, I disliked organized religion. 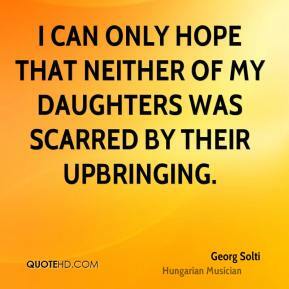 I have a strange inhibition about praying with others. 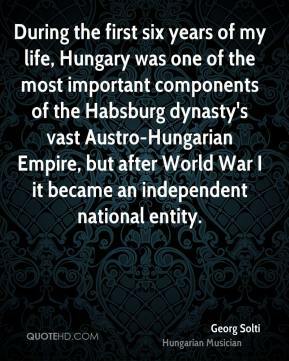 During the first six years of my life, Hungary was one of the most important components of the Habsburg dynasty's vast Austro-Hungarian Empire, but after World War I it became an independent national entity. 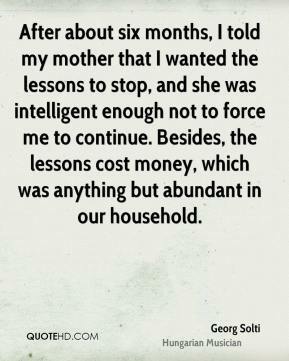 Friends are very important to me, and I have always had many of them. 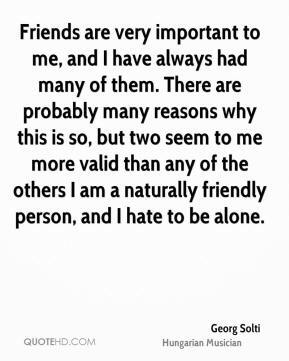 There are probably many reasons why this is so, but two seem to me more valid than any of the others I am a naturally friendly person, and I hate to be alone. 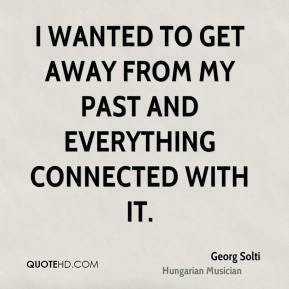 I wanted to get away from my past and everything connected with it. 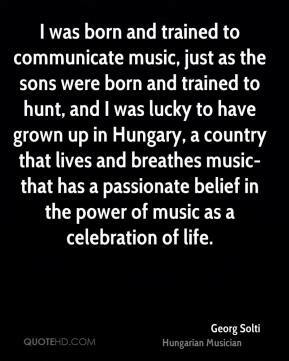 I was born and trained to communicate music, just as the sons were born and trained to hunt, and I was lucky to have grown up in Hungary, a country that lives and breathes music-that has a passionate belief in the power of music as a celebration of life. 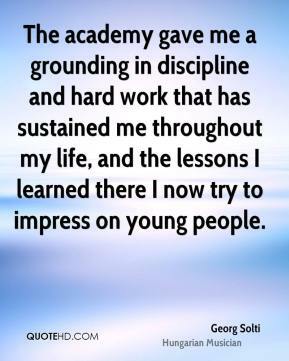 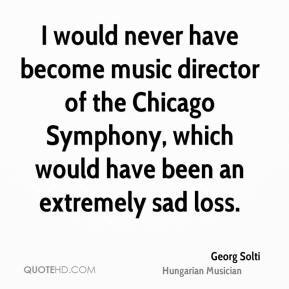 I would never have become music director of the Chicago Symphony, which would have been an extremely sad loss. 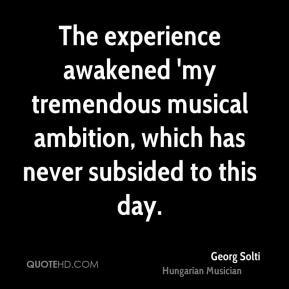 The experience awakened 'my tremendous musical ambition, which has never subsided to this day.